Knife Capital partner Keet van Zyl says a good exit strategy enables start-ups to quickly capitalise on business opportunities. Quitting the business is rarely on the minds of entrepreneurs when they start technology companies. Refining smart products, researching potential customers and charting routes to market tend to dominate the early thinking of start-up founders. A comprehensive exit strategy, however, is fast becoming essential for fledgling firms that hope to survive the local technology industry's high mortality rate. Start-ups without an exit strategy, which details how shareholders will secure a return on their investment, have little chance of success, says Springleap CEO, Eran Eyal. "They won't have a clear understanding of their market, they will miss crucial business opportunities and they will struggle to raise capital," he says. Most technology businesses bleed money during their first five years and support from backers who provide finance and expertise is vital, adds Eyal. "If a start-up is not positioned for an exit, it's a red flag to potential backers. They are unlikely to invest," he says. An exit strategy drawn up early in the life of a start-up is not a sign that founders lack commitment to the business or want to 'flip' the company by selling it for a quick profit, says Keet van Zyl, partner at investment firm Knife Capital. "A business that is exit-ready is well-positioned to take advantage of a variety of corporate actions. These include partnerships, licensing agreements and joint ventures as well as the sale of equity in the company," he says. A sound exit strategy enables a company to quickly 'unlock' its value and move swiftly to capitalise on business opportunities, he adds. "Organisations that approach start-ups to invest in them or work with them are not going to wait while the company gets its act together. They'll move on to the next opportunity or discount the value of the company when doing the deal. It's a very competitive landscape," says Van Zyl. A comprehensive exit strategy should address the needs of all the stakeholders in the company and include up-to-date company information and a strong deal team, says Van Zyl. "Preparation is key. The ability to respond rapidly to information requests with effective, well-organised analysis and presentations that underpin the anticipated trajectory of the company, is critical," he adds. Van Zyl says local technology start-ups are becoming more business-savvy. However, he says, there are often crucial gaps in their planning. These include weak staff-incentive strategies, ineffective conversion of leads into sales and poor marketing. Eyal, who founded crowdsourcing design specialist Springleap in 2008 and repositioned the company to tackle the international market two years ago, points out that a good exit strategy requires a comprehensive understanding of the company's market and an appreciation of the goals of the firm's backers. "Often opportunities for deals, as well as threats to the business, will come from competitors. It's essential for the founders of the business to know what their investors are looking for," he says. Long-term investors are prepared to wait for dividends but angel or venture capital investors as well as private equity funds usually want to exit in two to five years, says Eyal. Most local start-ups that execute successful exits for their shareholders either sell their businesses to competitors or larger companies looking to grow in new markets. "A tiny minority progress to IPOs (initial public offerings) and eventually list on the Stock Exchange," notes Eyal. Knife Capital has launched a mentoring and support programme to help young companies build their businesses. The Grindstone programme, introduced by Knife Capital last year, provides fledgling companies with business skills, guidance and networking opportunities. Ten emerging companies, or 'scale-ups', recently finished the one-year programme and all of them delivered strong growth, says Knife Capital partner Andrea Bohmert. Revenue growth across the ten companies climbed 61 percent, the average value of the firms doubled and a further 43 jobs were created during the year, says Bohmert. Knife Capital plans to launch a second Grindstone programme, for a further group of companies, later this year. Serial technology-entrepreneur, Joe Botha, warns that start-ups should partner with investors that provide more than money. "Where possible, they should also deliver expertise and knowledge. It helps if they have experience in the start-up's market. They are then more likely to understand the challenges the company faces," he says. 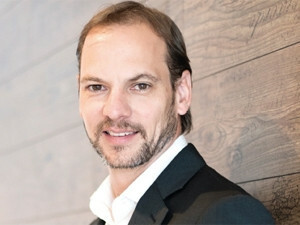 Botha, who has founded 10 start-ups including technology firms Frogfoot Networks, Amobia Communications, Teraco Data Environments and TrustFabric, is currently driving mobile and 'wearable' payment business Gust Pay. "Thinking about an exit is harder when you start out. It can be tough to let go. It's something you learn with experience," says Botha. Deciding when to exit is often triggered by several factors. The timing of an exit, or 'liquidity event', will affect the value of the business, says Knife Capital's Van Zyl. "During a consolidation wave, an industry leader, built on good business fundamentals, is very attractive to strategic buyers," he says. Botha adds that personal considerations can also influence the timing of an exit. "If the founder of a start-up is losing his or her passion and drive for the business and no longer loves what they're doing, it's probably a good time to think about an exit," he says. If a start-up fails to gain traction in the market after six to 12 months, its founders will need to relook the viability of the business, adds Botha. "It might be a good time to pivot and move in a new direction," he says. In the fierce technology business, aspiring titans need to focus on innovative products, potential customers and emerging markets. They also must keep a close watch on the exit. First published in the October 2014 issue of ITWeb Brainstorm magazine.